tv - Hot babes - They're Babes - and they're hot! The lovely Morena Baccarin recently turned up in an episode of The Mentalist, but you might remember her from shows such as V, Firefly or Stargate SG1. Gabrielle Anwar plays Fiona in the TV show Burn Notice. Her character is supposedly Irish, though the actress is actually English and the show is set in the US. Never mind .. Enjoy this shot of her instead! 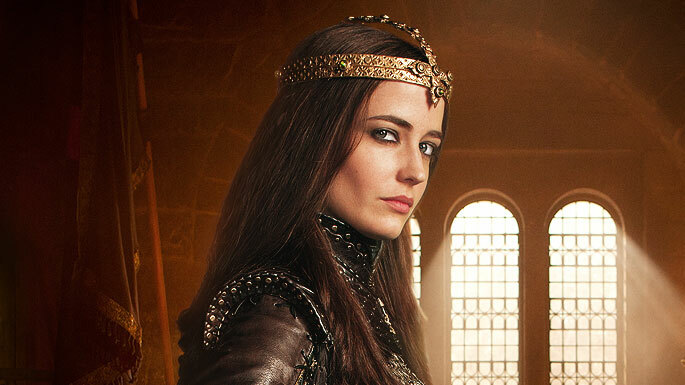 Eva Green is playing a leading role in Camelot, which is yet another Starz big production.